How can you prepare to talk to us? The easiest way to contact us is by telephone. Over the phone we will try to gain a first impression of your inherited collection. It is therefore very helpful if you can make a few preparations before contacting us. If you go through the following points, then you as a layperson may gather much of the information that we need, roughly to assess the material. WHICH AREAS HAVE BEEN COLLECTED? The “area” refers to the country in which a stamp was issued; the name of the country is usually on the stamp. Each collector usually has one or more favourite areas that were collected. Go through all the albums and try to establish which areas are mainly represented in the collection. Especially in the case of Germany, but also for all other countries it is important for us to know if countries were collected before 1945 (such as, for example, the German Reich). 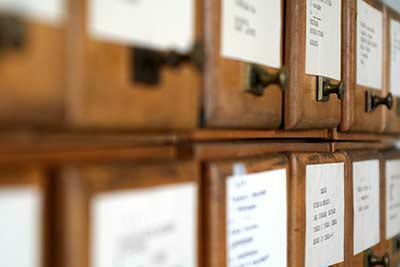 Collections are usually arranged chronologically, and so it should be not too hard to determine this. With the so-called printed albums, that is, albums in which each stamp has a pre-printed space (similar to Panini albums) you can also see whether, or for what period, a collection is complete. HOW DO I DETERMINE THE VALUE OF A POSTAGE STAMP? The condition, that is, whether or not the stamp is damaged. The age of the stamp, however, plays a subordinate role because usually rarity as a value-forming factor is only indirectly influenced by the age of a stamp. Certainly, there are stamps that are more than 150 years old but are worth less than one euro. A common misconception is also the belief that used stamps are worth less than unused ones.This cannot be simply assumed because it varies from area to area. Ultimately, the valuation factor here is also the rarity. Therefore if a stamp was valid for only a short time and very few copies were used on letters, a used stamp is worth much more than an unused one. The stamps that were issued during the German hyperinflation period of 1922-'23 are a classic example of this. Due to inflation the postage rate had to be changed every couple of weeks, so that new stamps continually had been printed and the old ones were virtually unusable. Also, whether an area has been collected used or unused (or mint), is important for us. It is also useful to know if the collection also includes complete letters or postcards, or similar items. 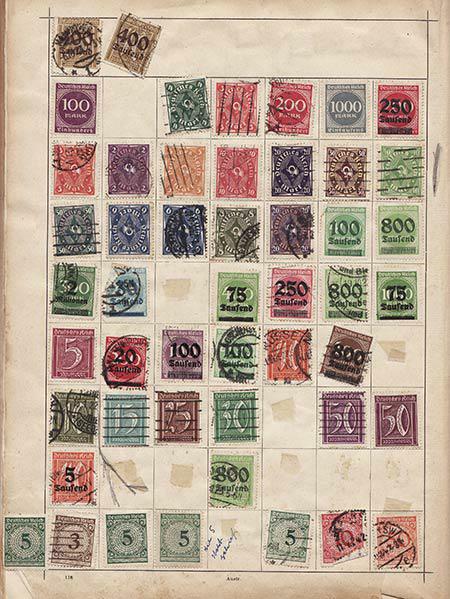 There is also the MICHEL catalogue, which serves as a basis of comparing the relative values of stamps. However, the Michel catalogue price itself has very little to do with the actual market value of a stamp collection. ARE THERE ANY CERTIFICATES OF AUTHENTICITY (REPORTS OF FINDINGS)? A tiresome aspect of philately is the forging of stamps. Almost every valuable stamp has been or is forged; bona fide collectors are repeatedly deceived. For this reason, there are examiners who are experts in their field and can make statements about the authenticity of expensive stamps. In Germany, most examiners are organised within a Federation, the BPP. 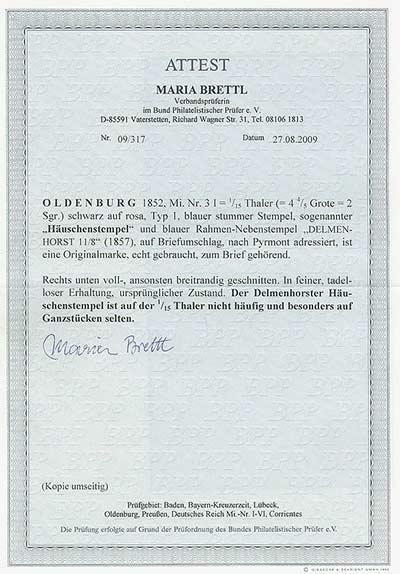 For expensive stamps experts usually issue certificates with photographs or (brief) findings, which confirm the authenticity of the stamp in writing with an illustration of the stamp. At the right you see the most common examples of such certificates. When looking through the collection, see whether such certificates and reports are included. If possible, write down for which stamps these certificates were issued (areas and Michel numbers are usually on the certificates). This information will help us to make an assessment of the content of the collection. WERE THE STAMPS BOUGHT AT AUCTION? 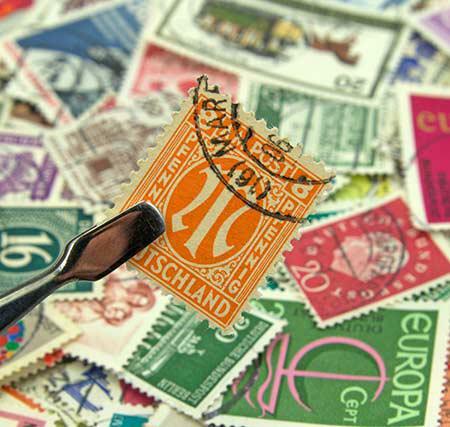 The best trading centre for expensive stamps and interesting collections is a stamp auction. 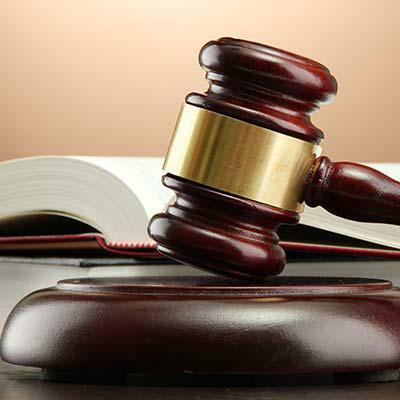 If the collector has purchased items for his collection at auction, this is a good indication that the collection could have a higher value. Conversely, you should expect no “treasures” if stamps were only collected from the daily post or a postal subscription. WHAT IS THE SCOPE OF THE COLLECTION? For logistical planning, it is necessary to be able to assess the extent of a possible consignment to us. “A wardrobe full”, “many albums” etc. are therefore only partially helpful indications. If you can count the number of albums or estimate them relatively accurately, this enables us to have a better idea of your collection.